On this date (April 10) in aviation history, Gates Rubber Company obtained a controlling interest in Lear Jet Industries. Two years later, Lear Jet and Gates Aviation would merge to create Gates Learjet Corporation, which would go on to become one of the leading manufacturers of business jets used for private charter flights. Lear Jet Industries was born out of the Second World War and became one of the first companies to produce aircraft specifically built for the private luxury market. It was originally founded by William Powell Lear in the 1950s as the Swiss American Aviation Company. Initially, the company was located in Switzerland but it relocated to Wichita, Kansas in 1962 where it remains today. 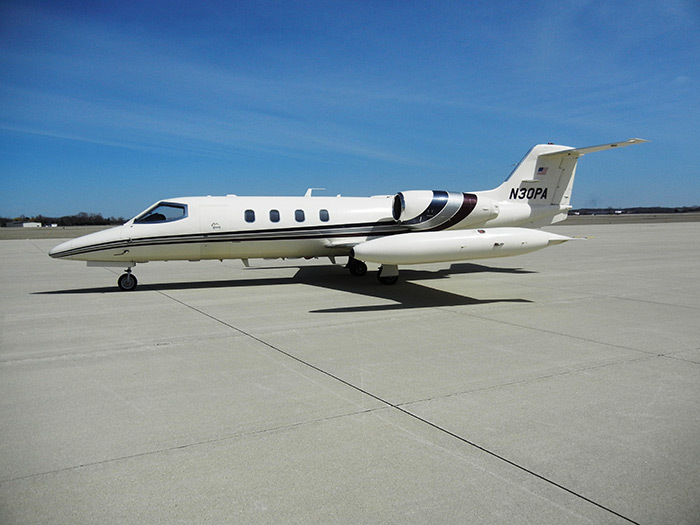 Production of the original Learjet began in 1963 and the Learjet 23 took its first flight on October 7 of that year. This plane, which provided passenger seating for 6-8 people, is the first jet solely known as a private business jet and helped make Learjet synonymous with “private plane”. That first Learjet 23 is now on display at the Smithsonian’s National Air & Space Museum in Washington, D.C. in honor of the role it played in advancing private aviation. 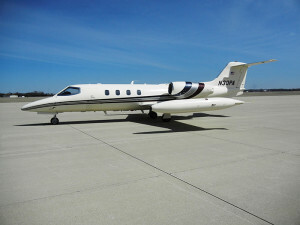 In 1964, the company was renamed to Lear Jet Corporation as the first production models of the Learjet 23 were delivered. Lear Jet Corp also became a publicly traded company that year. Subsequent versions of that first plane, the Learjet 24 and Learjet 25 took their first flights in 1966 and the company again changed its name to Lear Jet Industries, Inc.
Then in 1967, Bill Lear sold his controlling interest in the company which was worth about $27M to the Gates Rubber Company of Denver, CO. Lear stayed on as a member of the board for 2 additional years before retiring. With the Gates purchase and the subsequent merger with Gates Aviation, the Learjet line was poised to continue leading the development of the business aviation and private plane industry. It would be the first manufacturer to have a fleet of aircraft to exceed one-million flight hours and to pass the 500 planes produced mark. Contact DuPage Aerospace at 630-513-2222 for consultation on the Learjet 35A or any other of our fleet for your next private jet trip.